Severe coral bleaching occurred throughout the tropics in 1997/98. 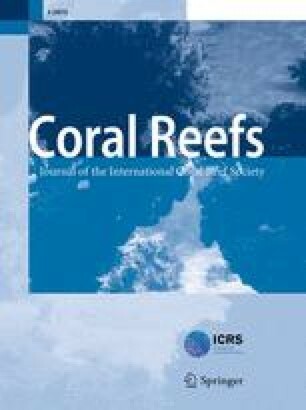 We report high-resolution skeletal oxygen isotope (δ18O) and carbon isotope (δ13C) microprofiles for bleached corals from Pandora Reef, Great Barrier Reef, and Ishigaki Island, Japan, in order to examine the ability of Porites corals to record clear signals of bleaching. Analysis of the annual cycle in δ18O revealed abrupt reductions in skeletal extension immediately after the 1997–98 summer temperature maximum, indicating that bleaching inhibits coral calcification. Skeletal δ13C in the Ishigaki corals showed lower values during bleaching, indicating depressed coral metabolism associated with a reduction in calcification. In contrast, microprofiles of skeletal δ13C from the shaded sides of Pandora Reef corals exhibited little change, possibly because algal photosynthesis was already slow prior to bleaching, thus subduing the 13C-response to bleaching. Comparison of δ18O microprofiles from bleached corals with instrumental temperature records showed that Porites corals can recover following 5 months with little skeletogenesis. The results indicate that isotopic microprofiling may be the key to identifying gaps in coral growth that are diagnostic of past bleaching events. We have tested this hypothesis using blue UV fluorescent bands to guide us to coral skeleton where isotope microprofiling identifies bleaching events in 1986, 1989, and 1990. These events, detected by proxy, suggest that coral bleaching may have occurred more commonly on Ishigaki Island than previously recorded. We wish to thank Dr. T. Ayukai of AIMS, Dr. Y. Tanimoto of Hokkaido University, and Dr. Y. Fujioka of the National Research Institute of Fisheries Science for valuable suggestions. We express our appreciation to H. Adachi of Geoact Co. Ltd. for coral coring. Coral specimens were identified by Dr. R. van Woesik. 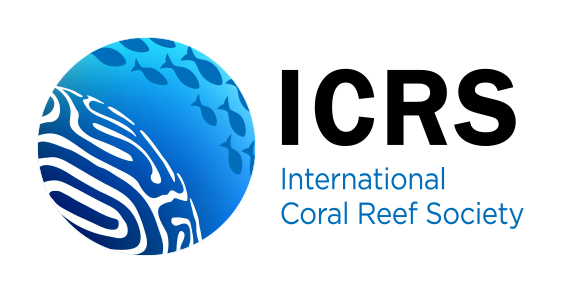 Special thanks are due to H. Scott-Gagan and J. Cali of ANU, B. Parker of AIMS, and K. Minoshima of AIST for performing measurements of coral properties. Assistance in the laboratory was provided by Y. Yoshinaga, S. Oyamada, H. Muramatsu, and Y. Sato. We thank Dr. Peter Swart and two anonymous referees for their constructive advice on the paper. This study was supported by the following programs: an Australian Academy of Science Award to A.S., Special Coordination Fund program ‘GCMAPS’ funded by the Ministry of Education, Culture, Sport, Science and Technology of Japan, and ‘Study on the increase of sea-surface temperature in the Asian Monsoon region based on coral skeletal climatology’ funded by the Ministry of the Environment.